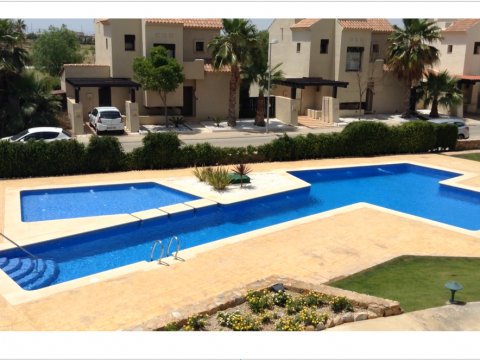 Roda Golf Resort is only a 5 minute drive to the wonderful beaches of the Mar Menor and is walkable into the lovely town of Los Alcazares. 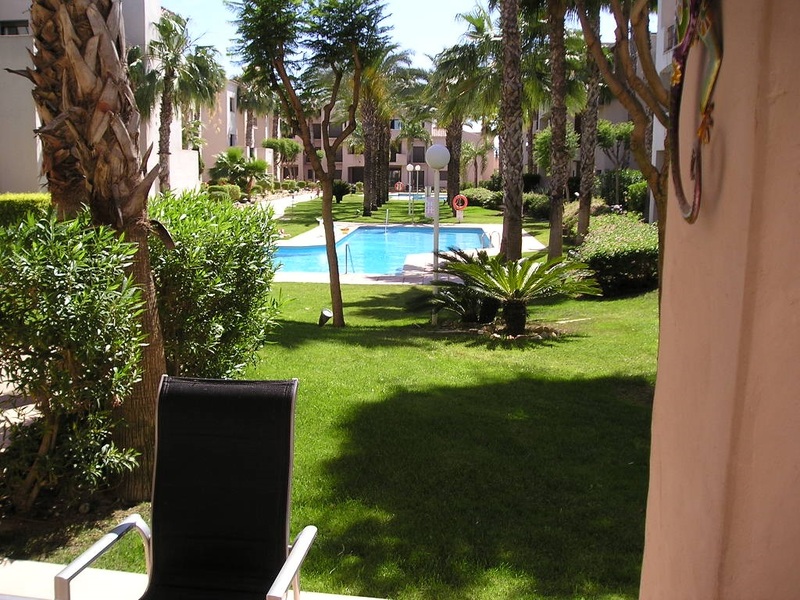 The apartment is on the ground floor and overlooks a very attractive pool and garden area with the superb golf clubhouse and tennis courts only a walk away. It is situated nearer the rear resort entrance which is security guarded 24 hours a day 365 days a year. There are 2 double bedrooms, one en suite and 2 bathrooms with quality fittings, one with a walk in shower and the other with a bath and overhead shower.The well appointed kitchen is fully equipped.. There is air conditioning throughout and gas central heating for the colder winter months. English TV is already installed and so is WiFi. No smoking allowed in the property. The resort has its own superb golf course with clubhouse restaurant and bar. 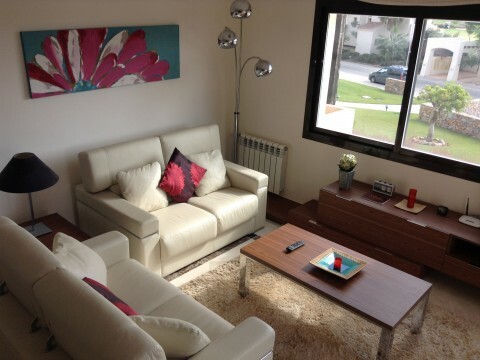 This property would be ideal to escape the cold UK winters as it is furnished to a high standard. 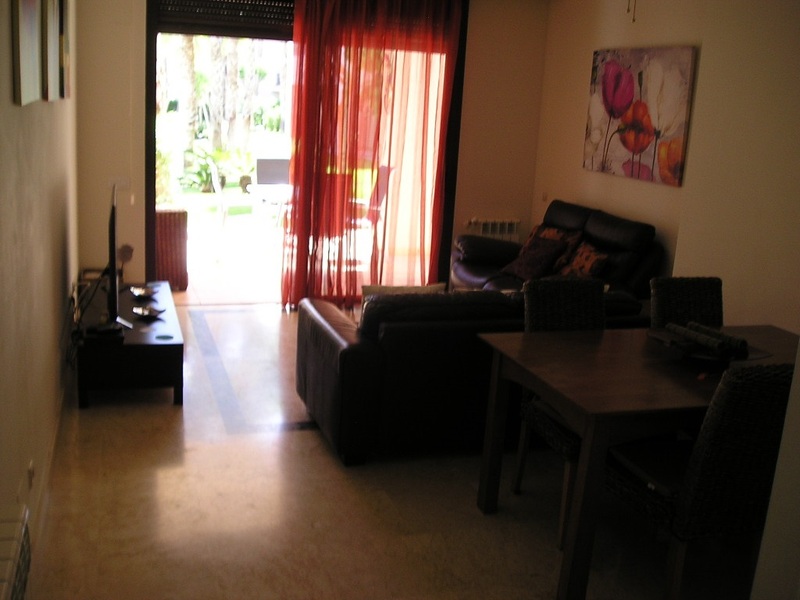 Why not escape the cold and rent a property in Murcia Spain over the winter months. Sorry but not suitable for pets. 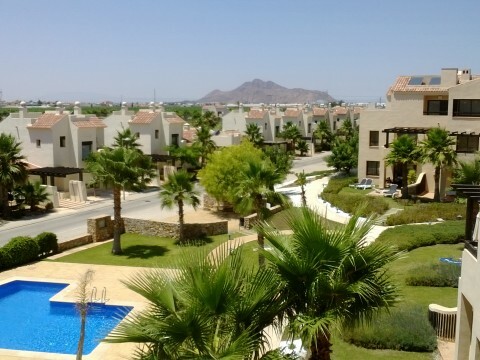 Roda Golf Resort is only a 5 minute drive to the wonderful beaches of the Mar Menor and is easily walkable into the lovely town of Los Alcazares. A good sized, light and bright, apartment which is on the ground floor and overlooks a very attractive pool and garden area with the superb golf clubhouse with restaurant and tennis courts only a stroll away. It is situated near one of the resort entrances which is security guarded 24 hours a day 365 days a year. 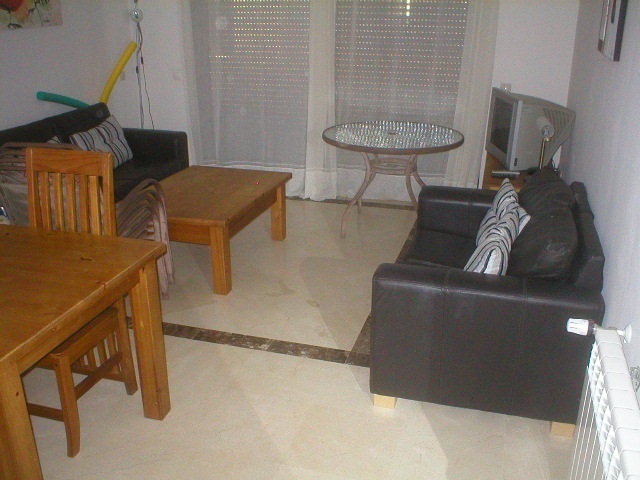 The property is in nice decorative order and is furnished with modern stylish furniture throughout. The lounge / diner has large patio doors which lead out on to a stunning tiled terrace area, which has table, chairs and sun loungers, suitable for al fresco dining and relaxing in the sun. There are 3 double bedrooms (one with a double bed and the other two with twin beds) one is en suite and all benefit from fitted wardrobes, gas central heating and air conditioning. 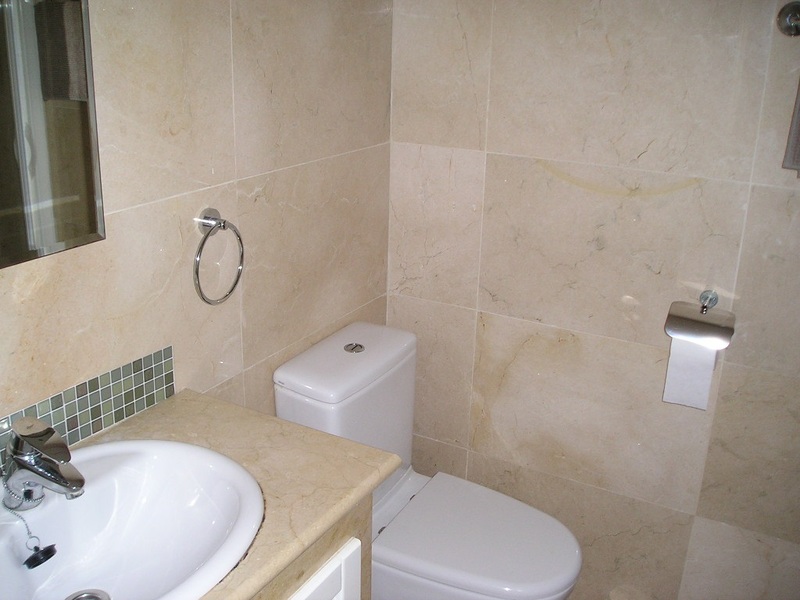 Both bathrooms have quality fixtures and fittings. One has a walk-in shower and the other a bath with overhead shower. 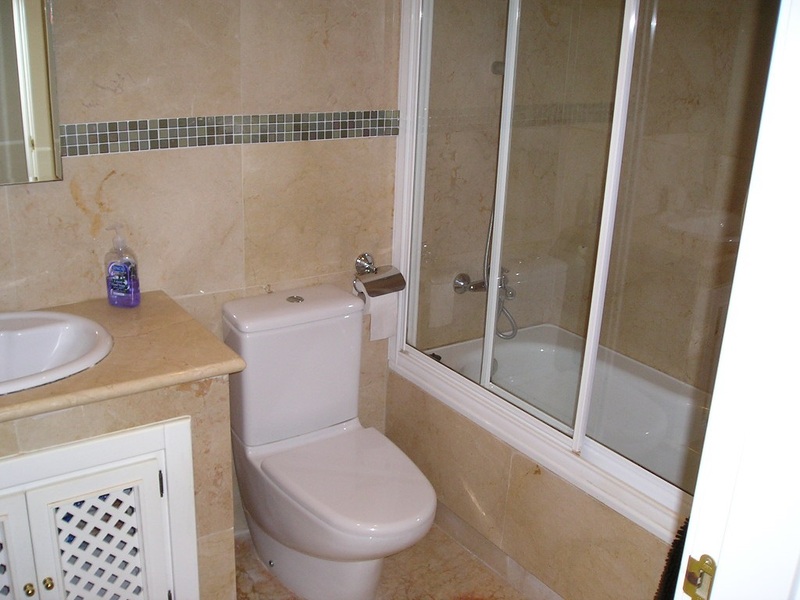 Both bathrooms have heated towel rails. The well appointed kitchen is fully equipped including Zanussi oven and hob and Smeg fridge freezer. There is also a utility area at the rear of the property that houses a Smeg washing machine. There is air conditioning throughout and gas central heating for the cooler winter months. English TV is already installed and also WiFi Internet. There is underground car parking. No smoking allowed in the property. Los Alcazares has a fantastic selection of restaurants, bars, shops, banks etc and of course the beautiful beaches of the Mar Menor. A lovely property in a very popular area. Sorry not suitable for pets. 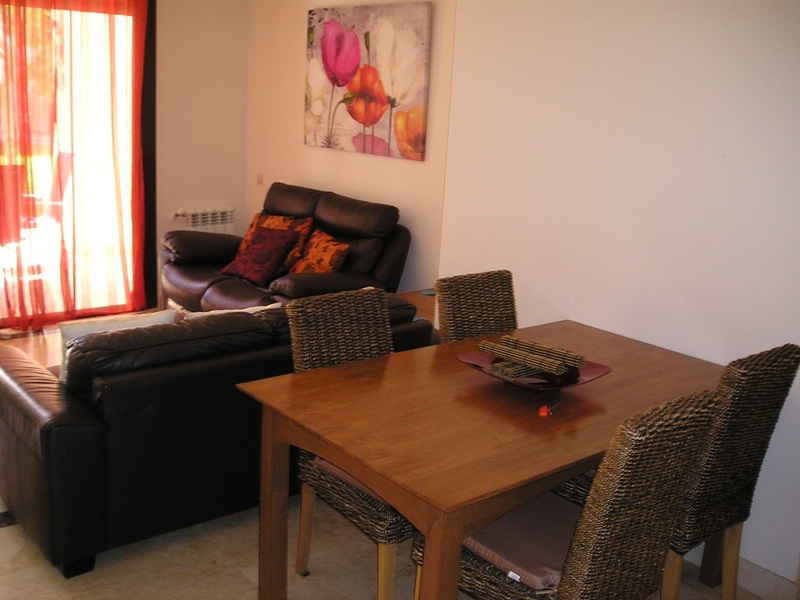 Why not escape the cold and rent a property in Murcia Spain over the winter months. 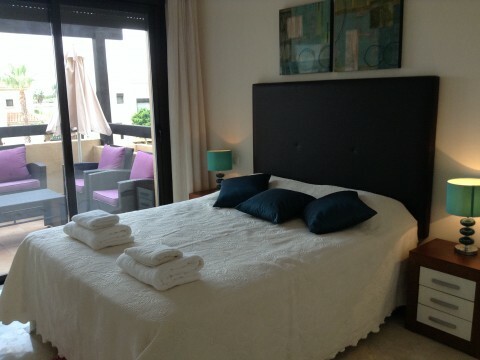 The apartment is on the 1st floor and overlooks a very attractive pool and garden area with the superb golf clubhouse and tennis courts only a walk away. It is situated nearer the rear resort entrance which is security guarded 24 hours a day 365 days a year. There are 2 double bedrooms, one en suite and 2 bathrooms with quality fittings, one with a walk in shower and the other with a bath and overhead shower.The well appointed kitchen is fully equipped.. There is air conditioning throughout and gas central heating for the colder winter months. English TV is already installed. No WiFi. No smoking allowed in the property. The resort has its own superb golf course with clubhouse restaurant and bar. 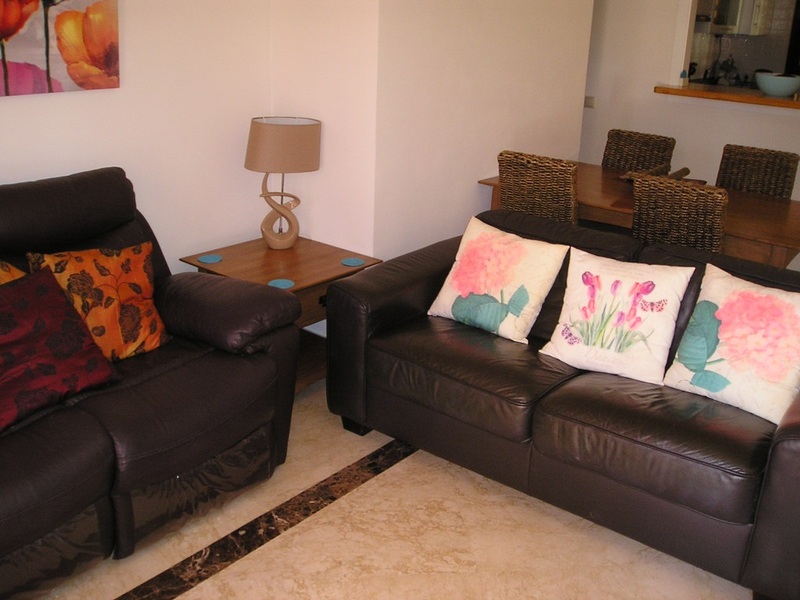 A beautiful 2 bedroom Penthouse on the stunning Roda Golf and Beach resort, It has been furnished to a very high standard and tastefully decorated to give you the maximum comfort. 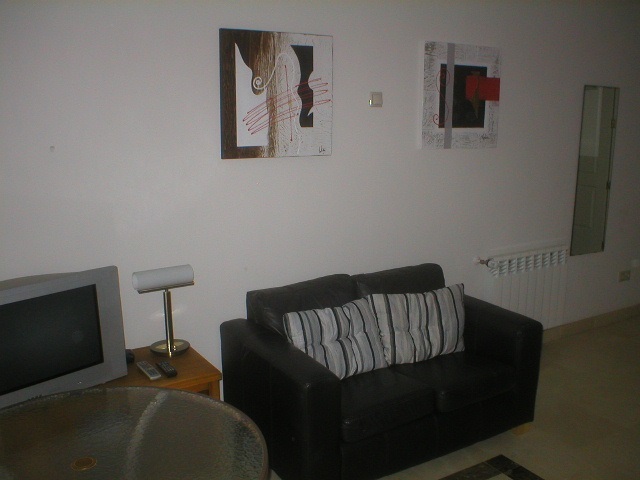 It enjoys the benefit of leather sofas and recliners and large TV plasma screen where you can enjoy all UK TV. The apartment also has WiFi. 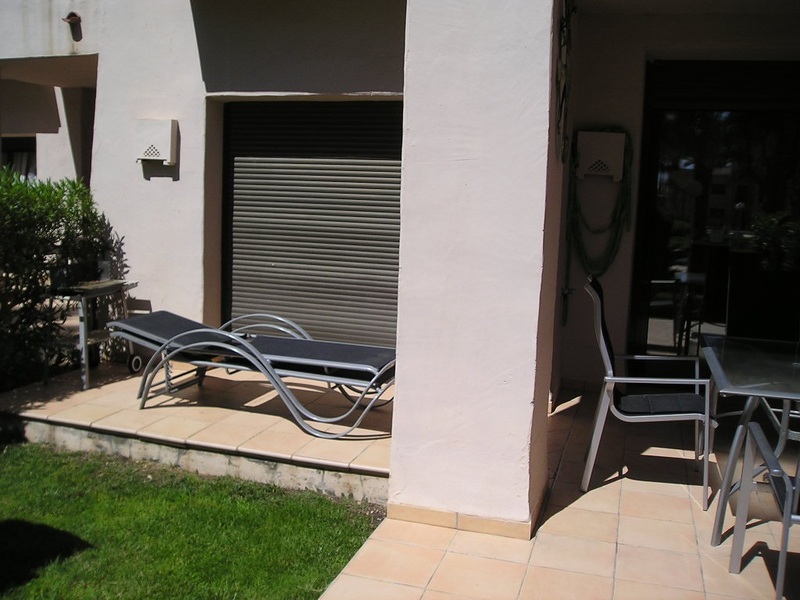 The main bedroom leads into the balcony via patio doors which is furnished with coffee table and chairs and has splendid views of the garden and the pool. 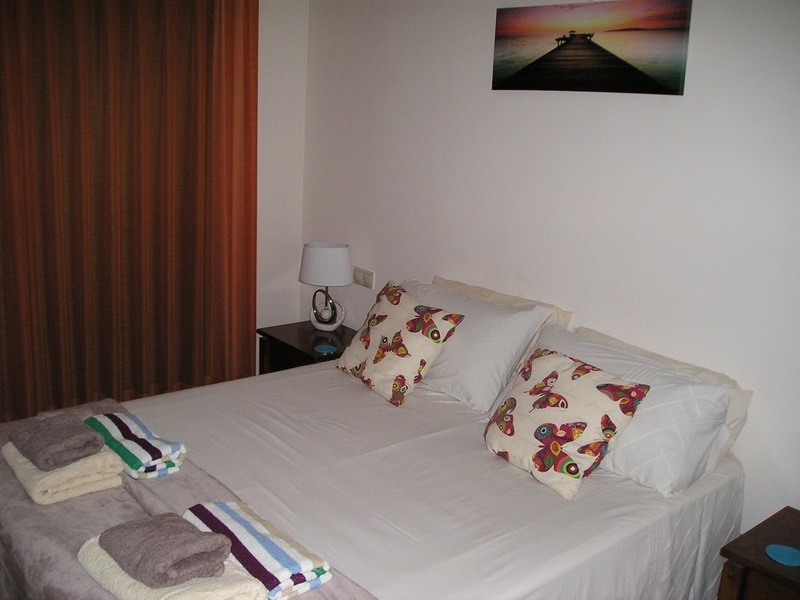 The main bedroom has the benefit of the main bathroom with shower. 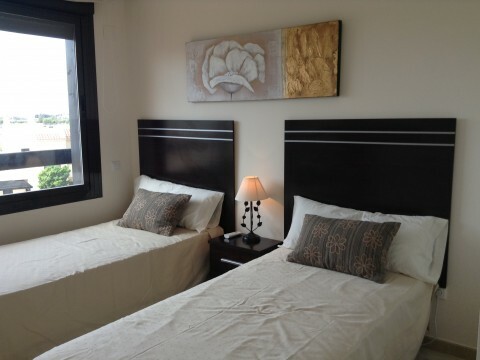 The twin bedroom has the benefit of shower en -suit and has the access to the roof top solarium which is fully furnished with 2 dinning tables with 8 chairs and 4 of which are recliners. 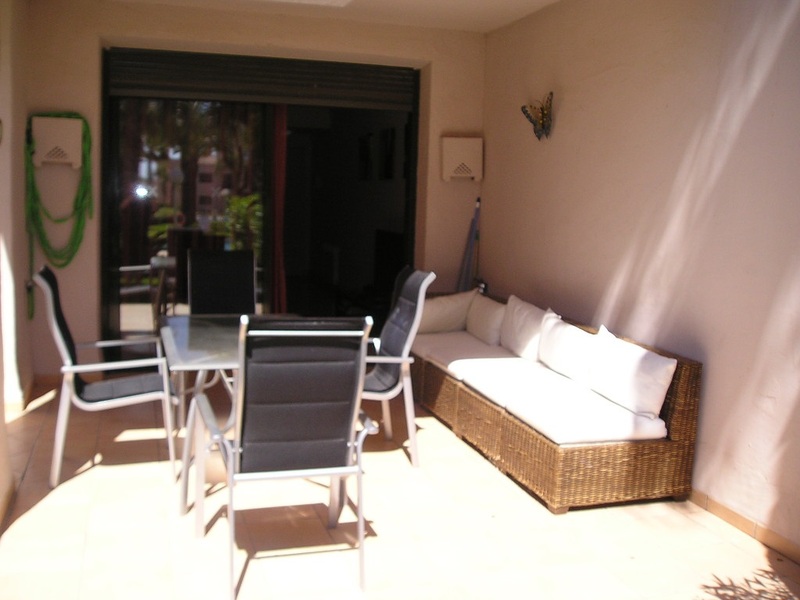 It has sun beds to relax and enjoy the sun . 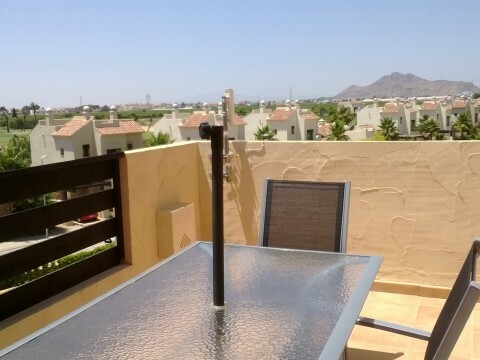 You have splendid views of the complex from the solarium including the views of the golf course. 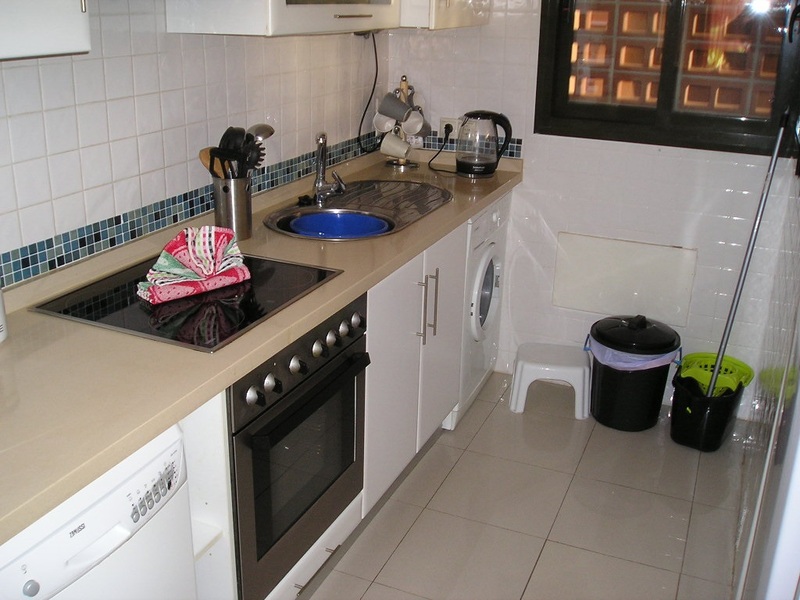 The kitchen is fully fitted with all the equipment to a high standard. 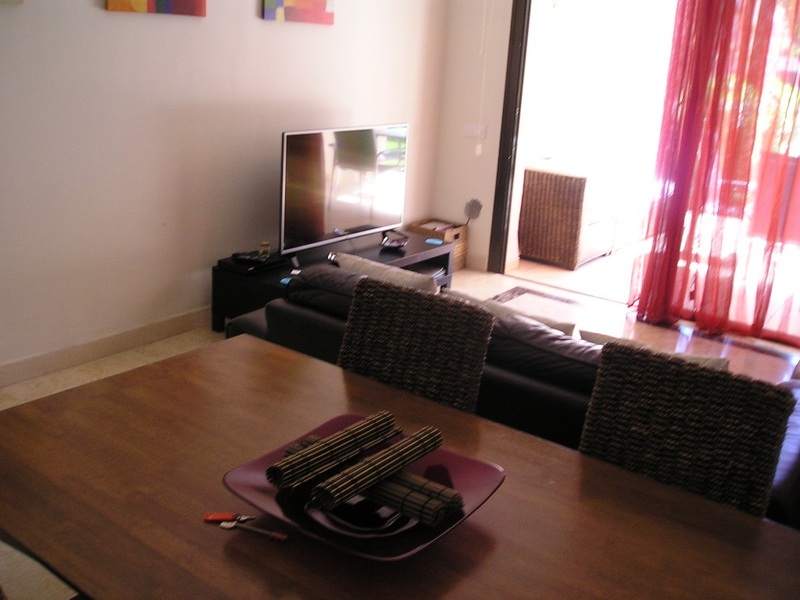 A well designed apartment overlooking the communal pool, The apartment has air conditioning and gas fired central heating. Sorry no pets or children. 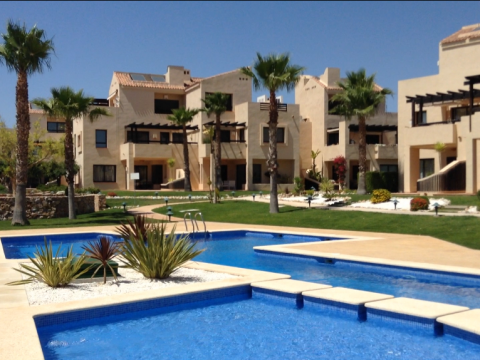 Only a 10 minutes drive from San Javier (Murcia) airport, Roda Golf Resort has 24 hour security and is a perfect base for exploring the historic province of Murcia, a city lined with designer boutiques and unique one-off shops. The historic naval port of Cartagena is a short drive, or relax and unwind on a boat taking in the unique coastline of La Manga, stopping at Cabo de Palos with its lighthouse, exquisite seafood restaurants and wonderful views. The Mar Menor has a 7km stretch of sandy beach lined with palm trees and a promenade perfect for walking, cycling or watching the world go by. Why not stop and have a drink of ice cold cerveza and eat tapas at one of the many beach bars on route. Sorry but not suitable for pets.